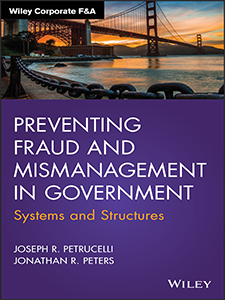 Preventing Fraud and Mismanagement in Government identifies common themes in public fraud and corruption, describes the forces that drive them, and provides an objective standard of good practices with no political bent. 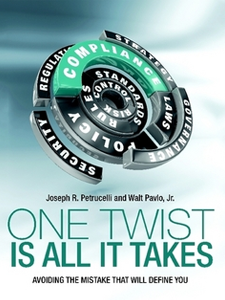 From Bridgegate to Iran-Contra, this book walks through the massive scandals that resulted from public mismanagement and fraud to illustrate how deeply-entrenched, entity-specific norms can differ from actual best practices. The discussion includes the theoretical underpinnings of public fraud, and how intense corporate culture and limited exposure to outside practice standards can lead to routine deviation from normal behavior and moral standards. You'll find a compendium of practices that illustrate actual norms, allowing you to compare your own agency's culture and operations to standard practice, and contrast the motivations for fraud in the public and private sectors. Public agencies and governmental entities are generally driven by a pubic benefit or goal, but are widely varied in the ability and desire to deliver value while retaining best practices. This book explicitly explores the common patterns of agency practices and cultural norms, and describes how they can easily cross over into illegal acts. The government/public sector provides some of the most basic services that are critical to a functioning society. Lacking a profit motive, these agencies nonetheless show a pattern of fraud and borderline behavior that could be mitigated with the adoption of standards and best practices. Preventing Fraud and Mismanagement in Government shares a canon of knowledge related to public operations and fraud, providing deep insight into the causes, solutions, and prevention. The cost of fraud to an organization goes well beyond dollars and cents. Fraud ruins reputations and lives. It can bring down even the most successful organization. Having a well-designed fraud detection system can significantly reduce the chance that your organization will be a victim of fraud. However, the key to detecting fraud is understanding where people and organizational value meet, paving the way for fraud. Filled with cartoons, pictures, motivational quotes, and one-minute mysteries Detecting Fraud in Organizations helps readers to see beyond the numbers and focus on creating open, proactive communication within their organizations. 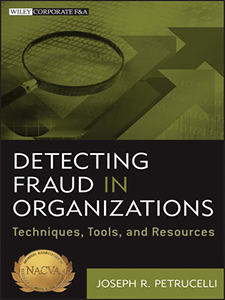 The book looks at the people in today’s organizations and identifies how and where the value within your organization may potentially be exposed to fraud. Want to promote fraud awareness and expose fraudsters within your organization? Look no further. Detecting Fraud in Organizations gives you an easy-to-understand introduction to fraud detection. Learn about knowing your people, following cash, and creating an ethical tone within your organization. Learn how to to monitor your organizational processes including accounting and checks and balances. This approachable guide gives you everything you need to become proactive in combatting fraud within your organization. The price of fraud can be damaging to your business. Get equipped to detect fraud and reduce losses with the tools found in Detecting Fraud in Organizations: Techniques, Tools, and Resources.